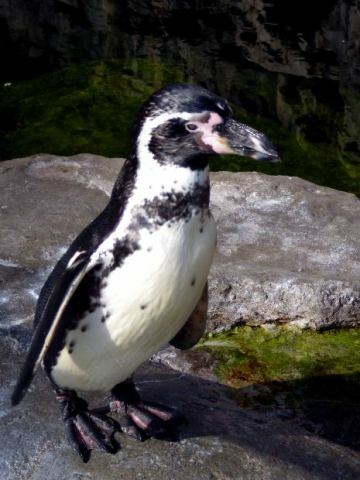 The sanctuary’s population of 16 humboldt penguins are used to the extreme weather along the coasts of Chile and Peru, but not the torrential rain and constant cold of the average UK winter. 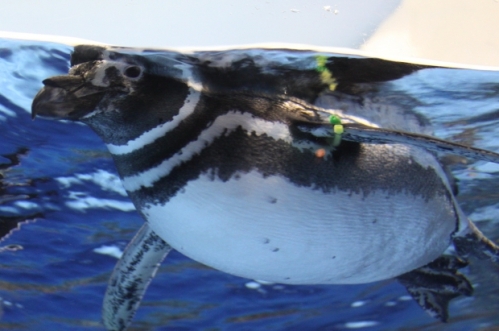 Because of this sort of weather is unusual for these medium sized South American penguins, keepers have slipped antifungal pills into their fish. Unlike the barbarians at the Danish zoo who culled a two year old male giraffe and fed it to their pride of lions in front of an audience of children earlier this month, this popular zoological story turned out to be a happy one. I’d certainly say that it’s better to be safe than sorry when it comes to protecting animals who are out of their element, and kudos to the Scarborough Sea Life Sanctuary for proactively taking care of their penguins. Stay healthy, penguins! Spring is right around the corner!